Crush The Serpent: ARE YOU AN ANTI-SEMITE? The American populace has been conditioned through a concentrated campaign of propaganda to be super-sensitized to any comments made about Jewish people or Israel that are anything other than complimentary. If you dare to point out that the Federal Reserve Bank is controlled by Jewish Banksters, and that most every Chairman of the "FED" was/is Jewish, than you are an anti-Semite, a rascist, and a bigot. If you dare to point out that the top eight Hollywood Production companies are owned and operated by Jews you are an anti-Semite. If you point out that the Media is Jewish-controlled, than you are an anti-Semite. If you dare to point out that the most powerful lobbies in Washington D.C. are the Jewish operated AIPAC and ADL you are an anti-Semite. If you dare to point out that Israel has committed atrocities against the Palestinians, and today denies Palestinians, including Palestinian Christians, freedom of movement, adequate water supplies, and building permits, you are an anti-Semite. I think you get the picture. Just telling the TRUTH about Israel and the Jews will mark you as an anti-Semite. At "Crush The Serpent" we desire to be like God the Father and His Son Jesus Christ, who love all people the same. 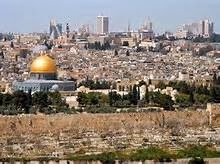 Like Jesus, we weep over the city of Jerusalem for its hard-heartedness towards the Messiah, and its' injustice towards its' neighbors (Luke 19:41-46). And like St. Paul, we desire and pray that Israel might be saved (Romans 10:1). At the same time we must be like Jesus who, when conversing with the Jews, (READ JOHN CHAPTER 8) told the Truth about the Jews. Please take the time to read carefully what Jesus said to the Jews. 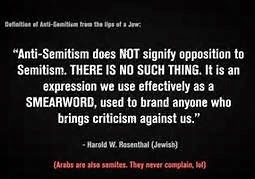 So, are you an anti-Semite? Are we, at "Crush The Serpent", anti-Semites? I guess that depends on "who" is defining what an "anti-Semite" is. 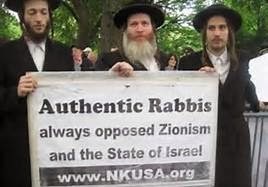 According to Zionist propaganda anyone revealing the Truth about Israel and the Jews is an anti-Semite. We think of ourselves as "Truth-Tellers" who love all people with the love of God. And that love includes the Jewish people.